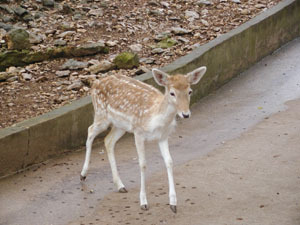 It had been many years since I had been to Wonder World. (Actually, I think it was only called "Wonder Cave" when I had come before, but I think they added an area since then -- see below.) To the right and below you can see some photos from inside the cave. 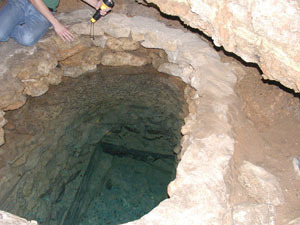 The water you see below is where the cave connects to the Edwards Aquifer. 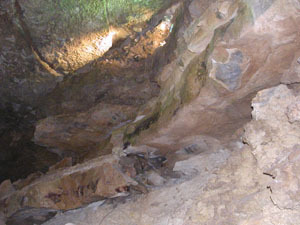 The people that own the cave added a false bottom so that they could cross over to the other part of the cave. 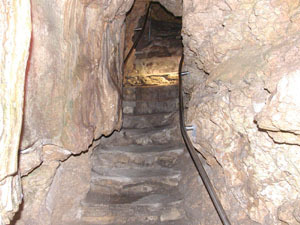 At the end of the cave is an elevator that the owners added. 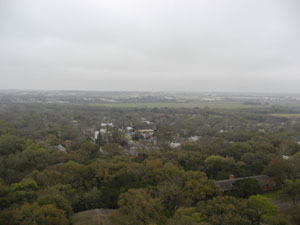 It takes you to the top of an observation tower from which you can see the two geographic divisions of the State of Texas. To the east is the flatlands and to the west is the hill country. 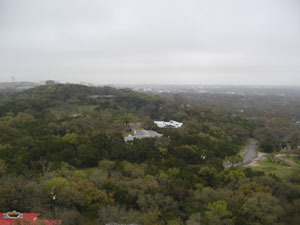 The Balcones Fault, which created the cave, is the dividing line. 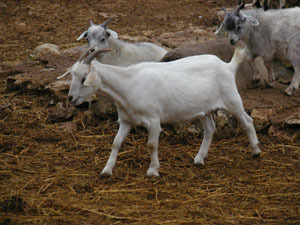 The part that I think has been added is this animal exhibit. 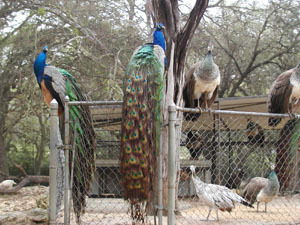 They have several varieties of deer, peacocks, goats, and other animals. After lunch and a visit with some family and friends in Austin, it was back to Fort Worth.